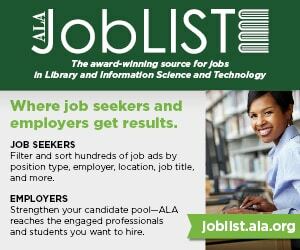 The American Library Association’s (ALA) Libraries Transform campaign is in its second year, and libraries across the country are using its succinct messages, vibrant graphics, and powerful tools to increase public awareness of the value, impact, and services that librarians and library workers provide. More than 6,900 libraries and library advocates have joined the campaign since it launched in October 2015. From legislative advocacy meetings to social media campaigns, many libraries are using the tools to demonstrate the power of speaking in one distinct, energetic voice for the library profession. In year two, the campaign continues to focus on libraries turning outward and engaging their communities. But it is also turning inward by emphasizing the “expert in the library,” ALA President Julie B. Todaro’s initiative aimed at getting librarians to shine a light on the transformative work they do daily. “I want librarians to build on the campaign, highlight the expertise in their library, and think broadly about what makes an expert in the kind of environments that we’re in,” Todaro says. She says it is important for people to understand that librarians—not just libraries—transform communities. “What is transformative is not only the location or the destination but the person who connects you to resources,” she says. Libraries Transform is built around four key messages. Central to illustrating these messages are “Because” statements—short, clever messages supported by research and best practices about issues related to libraries. The campaign messaging has been updated to reflect the new emphasis on librarian expertise with statements like “Because the expert in the library is you” and “Because the best search engine in the library is the librarian.” The ALA Store has customizable expert badges that allow librarians to showcase their areas of expertise. Librarians at Marshall Public Library (MPL) in Pocatello, Idaho, recently used these badges to identify their expertise in such topics as local hiking and biking trails. Tweet about your most innovative and effective services using the #librariestransform hashtag. Download and print “Because” posters and post them around your community. Think about putting them in unexpected places, such as your local coffee shop or community center. Download and print “Because” postcards and send them to your stakeholders with messages about new, innovative programs and services at your library. Send them to donors with a handwritten thank-you note, or use them to reconnect with lapsed cardholders, inviting them to revisit the library. Include Libraries Transform messaging and graphics in your community newsletters, e-newsletter, or regular email blasts to stakeholders. Invite your community members to share their stories of how libraries transform on your social media platforms—Facebook, YouTube, Instagram, etc. Host an event to build community awareness of a new creative service at your library (such as a makerspace, collaborative work space, or a digital collection). Use the Libraries Transform brand on fliers and brochures to promote special programs and services at your library. Include Libraries Transform messaging in your press releases, print and radio PSAs, op-eds, and letters to the editor. Conduct your own creative guerrilla marketing stunt to delight and surprise your community. For inspiration, check out the Outside the Lines initiative to see how some libraries have creatively connected with their community. BONUS: Encourage stakeholders to create their own “Because” statements and share them on social media. 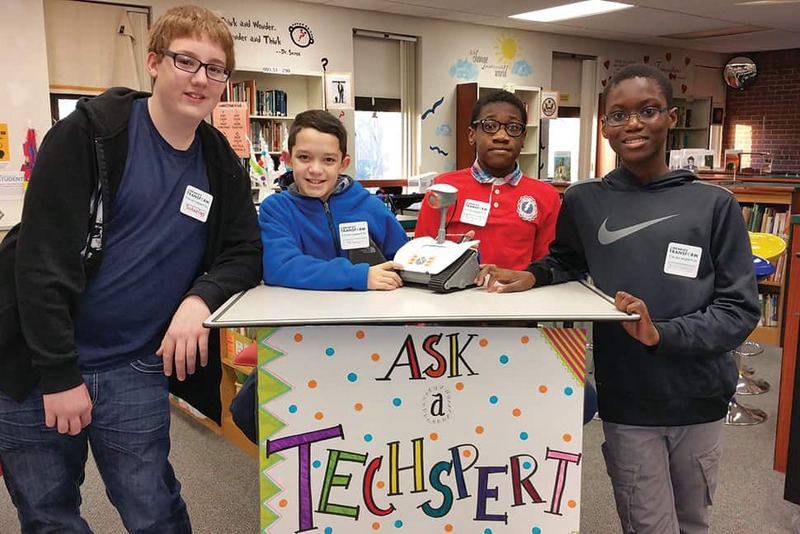 When school librarian Kristina Holzweiss discovered the Libraries Transform i’m an expert in badges, her first thought was, “How can I use these in my school library?” Holzweiss decided to try them out with her student “techspert” team at Bay Shore (N.Y.) Middle School. The techspert students help her in the library with everything from wrangling robots to creating websites and organizing the makerspace. The badges give the students the opportunity to showcase their expertise in the library to other students as well as to the school’s staff. Since the badges are reusable, they allow students to be an expert in math one day and in Legos the next. Timeliness and flexibility have been strong points for the campaign. When fake news became a hot topic, ALA was ready to promote the skills and expertise of librarians in digital literacy and evaluating the accuracy of information. 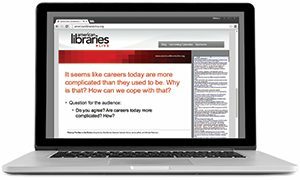 With “Because fake news can have real-world consequences,” the campaign had one of its most popular social media posts, spotlighting the important work of librarians in information literacy and resources like the CRAAP (currency, relevance, authority, accuracy, purpose) test. Key to the campaign is feedback from its users. Each month, the Libraries Transform newsletter features how libraries are using the campaign. Those success stories are turned into best practices that are incorporated into the campaign toolkit. At a session during the 2017 Midwinter Meeting & Exhibits in Atlanta, one participant suggested customizable table tents that could be used in libraries and distributed to community partners. Shortly after, templates for table tents appeared in the toolkit; they are already being used by libraries. Libraries Transform continues to receive wide support from state chapters and associations. 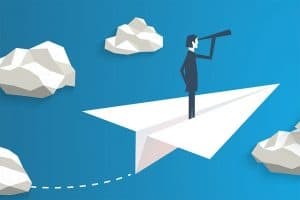 The Massachusetts Board of Library Commissioners, Indiana Library Federation, and Ohio Library Council (OLC) are using Libraries Transform in their legislative activities. Organizations like the New Mexico Library Association and West Virginia Library Association have used Libraries Transform as a conference theme or featured presentations on the campaign as part of their activities. The National Network of Libraries of Medicine (NNLM) has sponsored a webinar and is developing aspects of the campaign for its libraries to use. Lydia N. Collins, consumer health coordinator with NNLM, Middle Atlantic Region, incorporates relevant “Because” statements such as “Because librarians know information is the best medicine for health care questions” in her professional development classes. She says they work well for emphasizing the importance of educating communities on how to evaluate health information. 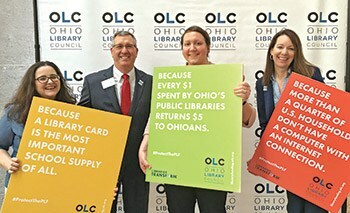 OLC used Libraries Transform to speak to state legislators in 2016 in an effort to showcase Ohio libraries’ return on investment. It adopted the theme “Ohio Libraries Transform” for last year’s OLC Legislative Day. OLC will use the Libraries Transform theme for its 2017 advocacy efforts. “Because” statements played a part in Missoula (Mont.) Public Library’s push for a new building and its successful $30 million referendum. 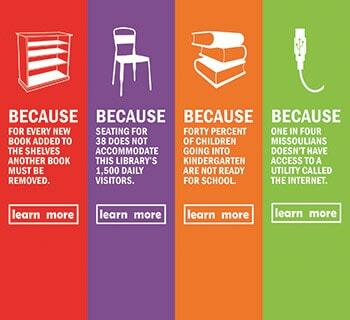 As one “Because” statement informed the public, “Because one in four Missoulians doesn’t have access to a utility called the internet.” During the referendum campaign, the library used the Libraries Transform campaign for educational pieces that appeared on posters, including one pointing out that only 38 people can sit and use resources in the adult section of the library. The new building will triple the library’s capacity for internet connectivity and computer use. Library Director Honore Bray says the Libraries Transform campaign is a perfect fit for her library—the clean format of the banners and posters “make things very clear and concise” for patrons. In its second year, the Libraries Transform campaign, under ALA President Julie B. Todaro, is calling attention to the “expert in the library.” One way the initiative plans to highlight experts is by launching Book Club Central, an online platform of the best reading resources. Book Club Central’s purpose is to connect the public with the expertise of librarians through recommendations, book lists, and other content for book clubs and their readers. Libraries and librarians have always been champions of reading and fostering love of books. Book Club Central expands on what they are already providing library users, whether it’s early literacy programs for children, one-on-one tutoring, or community-wide reading initiatives. Award-winning television and film actor, producer, designer, library supporter, and avid reader Sarah Jessica Parker is lending her support to Book Club Central by serving as honorary chair (read a Q&A with Parker). Throughout the year, she will provide a selection of her own recommended titles. Parker will be on hand for the official launch of Book Club Central at the ALA Annual Conference and Exhibition in Chicago on June 24, where she will unveil her inaugural pick. JEFF JULIAN is director of ALA’s Public Awareness Office. 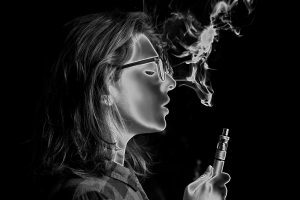 Heather Cho and Steve Zalusky contributed to this story.